Product Management 101: How to deal with high friction steps. As product managers, we always strive for simplicity. The fewest steps, the least friction, the fastest process. However, sometimes there is a step our product has a step that is high friction: entering a SSN, making a phone call, writing a description, entering credit card information, or something similar. Ultimately, a good product will reduce that friction as much as possible. How we do that and when we chose to do it is part of the art of product management. Almost by definition, high friction steps tend to have low conversion. More importantly, they tend tend to have low conversion obscurely. We know customers aren't completing a step, but we don't really know why they aren't completing it. There is something buggy with our implementation (ex: the phone number listed doesn't work). They weren't serious about buying and just exploring. Betting on a "silver bullet" can be a very bad idea: we devote significant resources to "solving" the friction problem, only to see no conversion bump. Many a company has confused not having product-market fit with "our app is too high friction" and failed on account of that. Be designed to gauge intent. Customers are presented with content and a call to action: “Call xxxxxxx” to proceed. The lowest converting step is visit → phone call, and obviously has the highest friction, so we decide to optimize conversions on this step. Our first instinct is probably to jump right in and start simplifying the application process. Obviously we need to get rid of that pesky phone call, right? We think about possible ways to get rid of the phone call. We could replace the phone call with a phone number field and then we call back automatically. We could do this in about a week. We try to move part of the sales process online. We can do this in about 2 months. Each of these is a significant project wit added complexity. The first option is technically simple, but will add some complexity to our back office and isn't obviously "better." The second one is a significant undertaking. It seems like we don't have enough data to make a decision. Instead of jumping into a solution without data, we add a lightweight intent indicator. 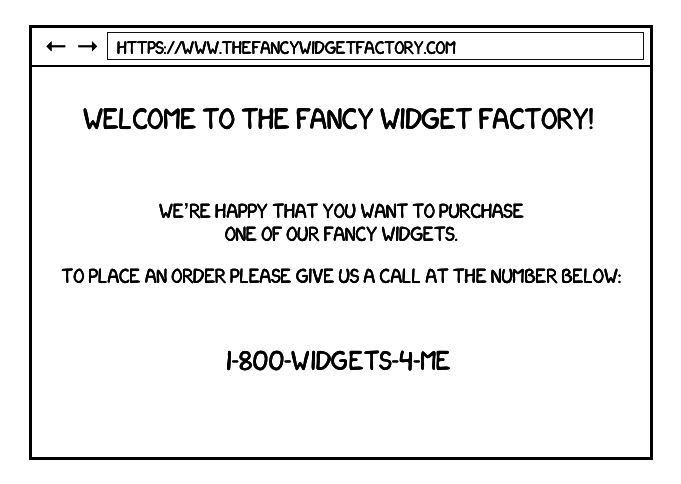 We hide the copy that says “call us” and replace it with a button that says “I’m interested and serious about buying this widget.”. After clicking the button we re-display the phone call call-to-action. Notice that the total number of phone calls received is the exact same, but the intermediate step (button clicks) are very different. In Scenario A, it seems like almost everyone who is interested in calling actually makes a call. Our hypothesis of “people aren’t calling because calling is hard” seems to be wrong–our efforts are probably better spent making the landing page more compelling.